By isolating the child, it is believed the problematic behavior will be extinguished. But anyone who has dealt with an emotionally hijacked spirited child, in a full-fledge meltdown, knows that this type of time out is nearly impossible to implement. If you do get him to his room, or into the chair he will not be reflecting on his misbehavior. Instead he is likely to be throwing things, ruminating, angry at you. Even after the allotted time is up, odds are high, he will still come out swinging! That’s why I recommend time-out not as a punishment but as a tool for calming one’s body. Your child does not like feeling out of control. He desperately needs you to help him learn how to calm his body. Taking a break is one of the best tools. If a behavior is unsafe, hurtful, or disrespectful to self, others, or the environment it needs to be stopped. As you approach your child he needs to know you are coming to help, even if you will be grabbing his arm, or foot to stop him from hitting or kicking. Say to him, “I will help you.” These words alone can begin to calm him. But if he is too upset to work with you, help him take that calming break. Be proactive. Set up your calming baskets and explain how to use them, BEFORE the meltdown occurs. When your child is calm, talk with him about the times he feels bubbly inside. Those moments when he wants to scream, cry, hit, kick, or throw something. Let him know that when he feels that way he can take a break to calm his body. Together, create calming baskets. 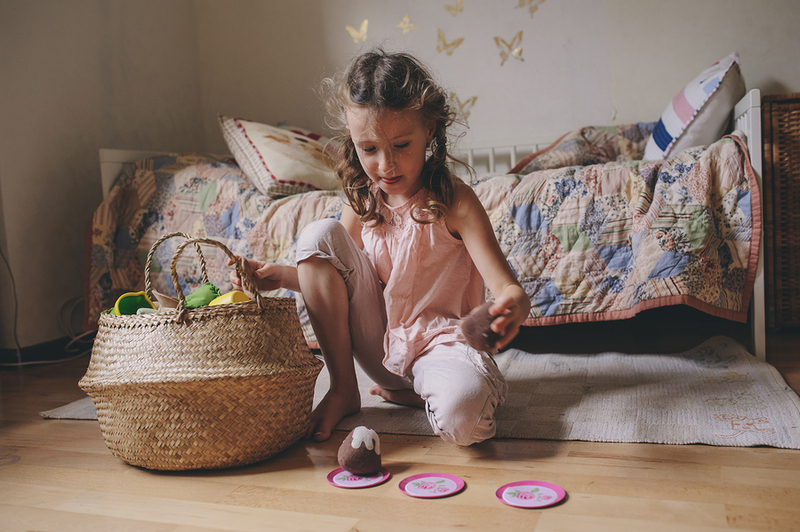 Fill the baskets with toys and activities that soothe and calm. For example, you may include a lovie, stuffed animals, books, music, cars, Legos, etc. Anything that engages and calms your child. Place the baskets where meltdowns typically occur. One may be in the kitchen, another by the door, and still another in the family room. If your home has multiple levels have baskets on every level. Don’t forget the car. When he is not upset practice going to the calming basket. Teach him that he may choose to leave the basket when his body is calm. When your child becomes upset help him go to the calming basket. If he needs you present, stay near. If talking or touching upsets him, simply remain close and available. Invite him to practice with you. Role play the situation. Encourage him to say the words you want him to use. If he refuses, ask him if he would like to listen while you say them. Then say the words, or model the behavior. Remind him that next time you expect him to use those words and actions. Taking a break to calm is an essential life skill. Your child does not need to be miserable, nor isolated. He’s calming – not being punished. Nor is this about the clock. It’s about regulating the body. Your child may require two minutes to calm his body, or twenty. The teachable moment occurs once he is calm. Only then can he hear your words and work with you. Going back, for the teachable moment, is essential to change the behavior.